An online casino with plenty of attitude, Fabulous offers over 300 thrilling casino games! Lots of players want to take a visit to the Fabulous Las Vegas and Fabulous Casino makes that possible wherever you are. It’s a top ProgressPlay casino that makes the most of their brilliant suite of mobile casino and slot games, with added bonuses too. Players are able to take Vegas with them in the palm of their hand, thanks to this trusty casino and its mobile site. This casino really lives up to its name when it comes to delivering great value and diverse games. The average slot player will have their every whim catered to on this site and that’s hardly a bad thing. With all of the bonuses and games your hardest choice will be which ones you want to use first! Taking a trip to the promotions area of this site will show players that they’re all about value for money. This section is heaving with lots of ways to add value to your account with bonus funds and extra spins. And the place to start is their welcome bonus, which is a generous 100% deposit match up to a maximum of £200 in bonus funds. This doubles up the fun for all new players on the site, but there’s plenty here for existing players too. Players at Fabulous Casino get to take part in a weekly competition, just by playing on their games. Every weekend competitive players go head to head in an attempt to accumulate the highest amount of VIP points. There are cash prizes awaiting the top three players every week and this is a repeat competition, so you always know when it’s coming up. Another promotion that comes around on a weekly basis is the Monday Madness promotion, which is as mad as they come. This promotion allows players to grab extra funds on their deposit at the start of the week, so this will soon be your favourite day. Just use the promo code MONDAY to get your share of these additional funds. Within this casino there are more than 110 games to play on, with slot, casino and even mini games at your disposal. ProgressPlay use a mixture of NYX and Microgaming titles to furnish their players with a vast choice in games. These can be divided into featured and most popular games for players who aren’t quite sure which title to play on. Each of the games can also be played in a free demo mode, so players can effectively try before they buy into them. Over in the casino section of the site, players will be equally impressed by the choices at hand. Their video casino games are complimented by a few live casino games to create a full array of games. They have all the essential casino games and a couple of variations on them too. They also have scratchcard games in a section on this site which just adds another section to explore. 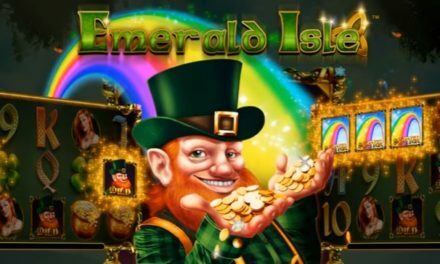 These games are as expertly created as the others on their casino site and make for a thrilling win in just a couple of seconds. This mobile casino accepts mobile phone payments, which is a major positive for players who want to deposit via phone bill. They also accept other deposit methods including; Visa, MasterCard, Maestro, Skrill, Neteller and Paysafecard. The smallest deposit that players can make on the site is £10 and withdrawals can be requested with a balance of £10 or more. And if you encounter any problems on this site then there’s a useful help section located at the top of every page. Here you’ll find out how to contact the site and answers to the most common questions too. They have a live chat option that’s available from 6am to 11pm every day and an email service that’s open during the same hours. Want to play at Fabulous Casino? 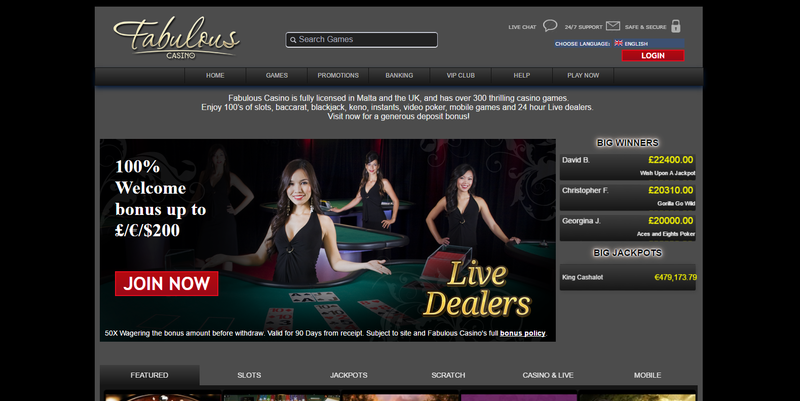 Fabulous casino will appeal to those who want diversity in their casino games! Fabulous Casino Fabulous Casino is a firm favourite in the casino world and any player that tries them out will swiftly see why. The emphasis on everything here is on quality and value, which are things that we always like to see from a casino site. This site has so many positive features that it’s hard to list them all, so if you’re interested check them out. Players can always try out the free play modes of the games before deciding to join in with the fun and you won’t regret it when you do.